Imagine cocktails, canapés and Croquet... what could be better for your big day? It's called the Topple Tower but that's the last thing you want it to do! So, build it tall - and don't let it fall! Everyone will remember this family favourite, but who's played Dominoes on this huge scale? Standing 1.5 meters high, our giant Four in a Row even comes with its own steps so everyone can enjoy the fun! Kick off your shoes and climb in for a race to the finish as you relive your childhood. Hop to it! 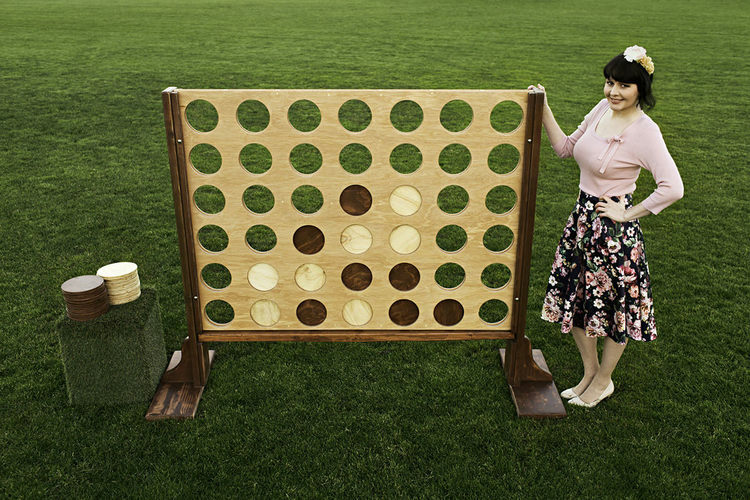 Book our fun games for your event!